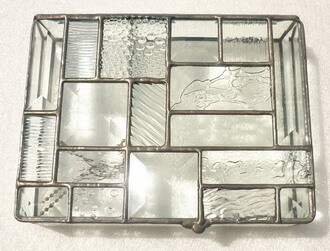 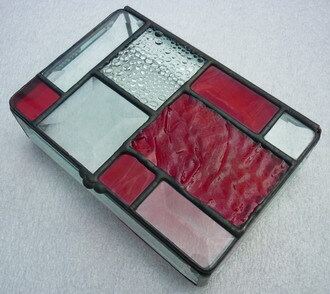 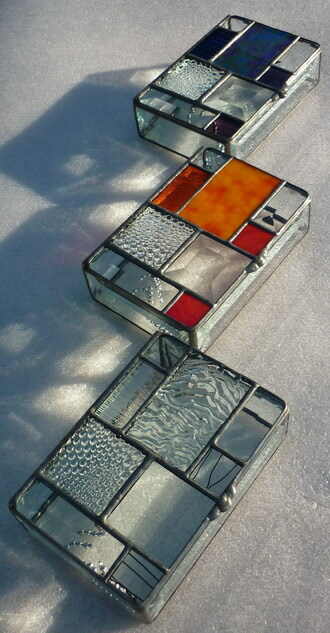 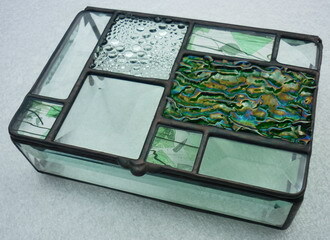 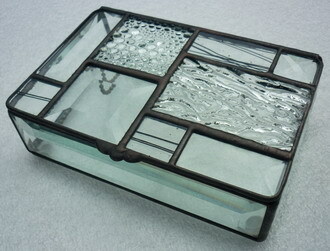 stained glass boxes and trays for all your trinkety needs. 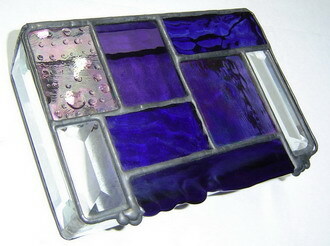 8" x 10" x 1½"
clear and colored glasses with bevels. 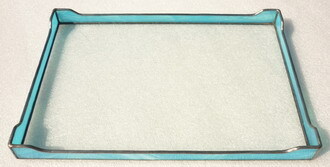 glue chip bottom, sky blue sides. 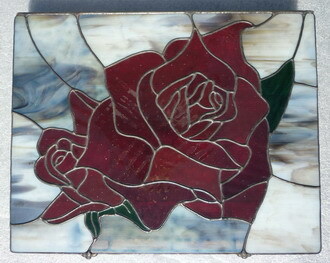 can be made to order in many sizes/colors. 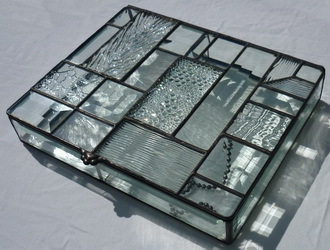 can be made to order in many sizes. 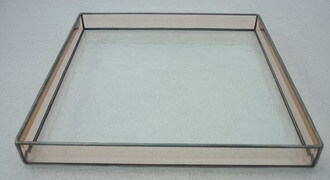 4" x 6" x 1½"
clear glasses with bevels, 6" x 8" x 1½"
clear glasses with bevels, 4" x 6" x 1½"